Session One will feature (both men’s and women’s) 1000/1650, 200 free relay, and 200 medley relay. Check down below for a live recap of each event. For the first event, the women’s 1650, first place went to second seeded Isabella Rongione – a 15 year old from Nation’s Capital Swim Club – who won by over four seconds with a time of 16:07.40! Second and third places went to Joy Field and Megan Brynes, with times of 16:11.65 and 16:22.12, respectively. Brynes was seeded first with a time of 16:01 but fell behind. 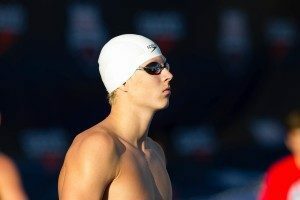 Matthew Hirshberger – a 16 year old also from Nation’s Capital Swim Club – won the 1000 with an unrivaled time of 8:45.11. Hirshberger finished almost 20 seconds ahead of second place finisher, Joshua McDonald who swam a 9:03.50 and touched out Gavin Springer by just over a second. Hirshberger broke a NAG record more than double his own age. With the Nation’s Capital Swim Club seeded well ahead of the rest of the pack, it’s no surprise that their relay – consisting of James Jones, Andrew Seliskar, Grant Goddard, and John Shebat – finished first by over two seconds, with a final time of 1:19.55. In second and third places, come the Iowa Flyers and Machine Aquatics – with times of 1:21.92 and 1:22.02, respectively. Nation’s Capital broke the NAG record for 15-18 200 free relay! 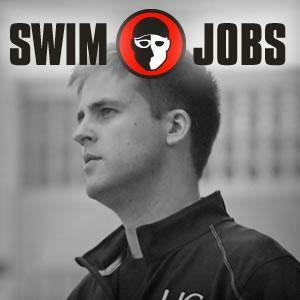 Unfortunately, one of the higher seeds – the Arlington Aquatic Club – DQed in the event. This one didn’t go out to Nation’s Capital, but rather, Minnesota’s Aquajets Swim Team took first place with a time of 1:40.70. Aquajets’ first place relay consisted of Zoe Avestruz, Olivia Anderson, Kaia Grobe, and Rachel Wittmer. Nation’s Capital finished second followed by Ozaukee Aquatics (Wisconsin), with times of 1:41.08 and 1:41.38, respectively. Amazingly enough, Aquajets’ B relay finished in fourth place, just behind Ozuakee with a time of 1:42.13. With nearly three seconds to the competition, Nation’s Capital’s A relay – consisting of John Shebat, Carsten Vissering, Andrew Seliskar, and James Jones – took first place in the 200 medley with a time of 1:26.47. Second and third places went to Dynamo (GA) and Jersey Wahoos, with times of 1:29.41 and 1:29.69, respectively. 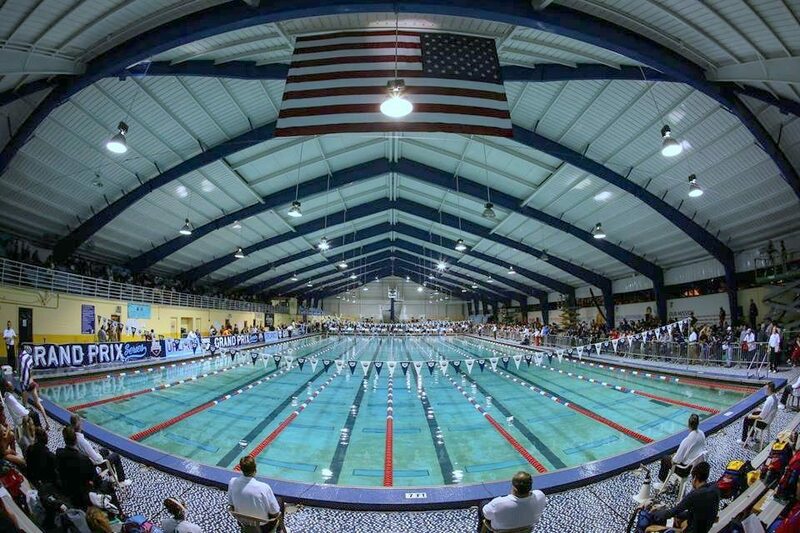 SwimSwam’s got you covered for all things NCSA! Check back here tomorrow at 8:30am EST for prelims live recap! That’s a new NAG record for the 15-16 1000 freestyle by 4 seconds! Hirshberger CRUSHED the 15-16 AND 17-18 NAG records!!! Incredible!! A slight correction – Hirschberger! NCAP boys crushed 200 Free Relay 17-18 Record. Previous record 1:20.44. Does anyone know the fastest splits in 200fr relay? 19.41 split from Seliskar, 19.58 split from Shebat. Cal and Texas commits respectively. The rich get richer. NCAP boys also broke the 15-18 record by only 0.01 sec. NCAP’s time was a 1:19.55…. 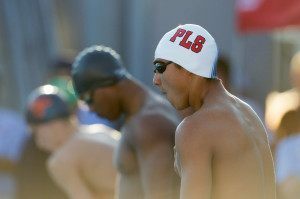 Can someone confirm that they also squeaked by the 15-18 NAG record of 1:19.56 (Scottsdale Aquatic Club)? When were these two records set? I just looked it up and you appear to be correct. Getting it by 1/100 of a second. Anyone think they will try to do a clean sweep of the 15-18 relay records?